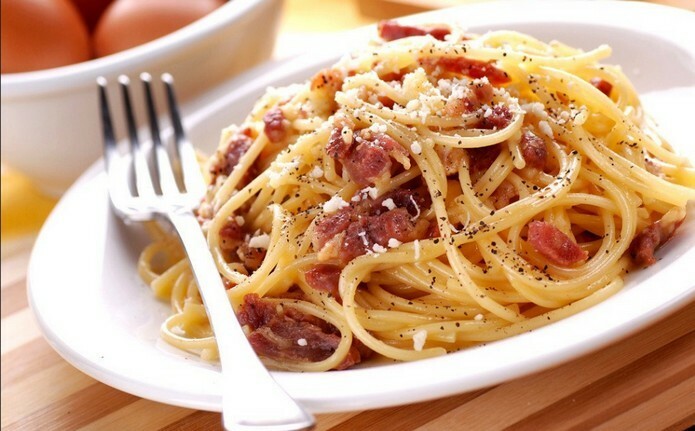 Spaghetti Carbonara has become a classic favorite worldwide due to its strong flavors, richness and simplicity. Here is an authentic Italian recipe! Who can resist that eggy golden color and flavorsome cheesy sauce that glistens around the pasta with intense pops of cured aged pork. There’s a number of stories where this dish originated but what makes this dish so special are the quality of the ingredients. 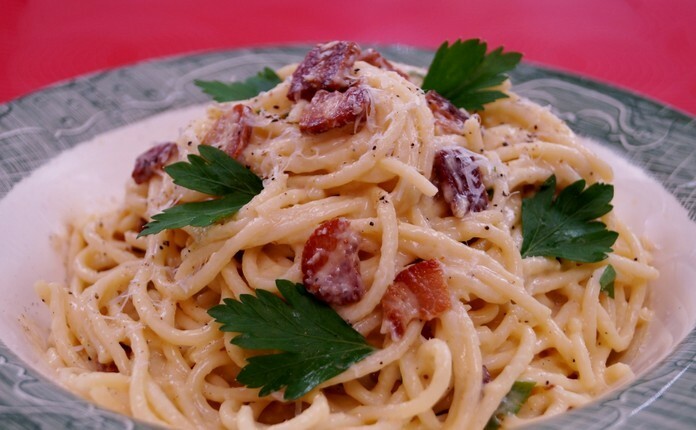 The sauce should be creamy but cream should never be seen in Spaghetti Carbonara. Never use Parmesan cheese for this recipe. However, if you’re having difficulties finding guanciale, pancetta can be used instead. Never add cream to the recipe: the creaminess is given by the sheer amount of grated Pecorino – so don’t skimp on it!